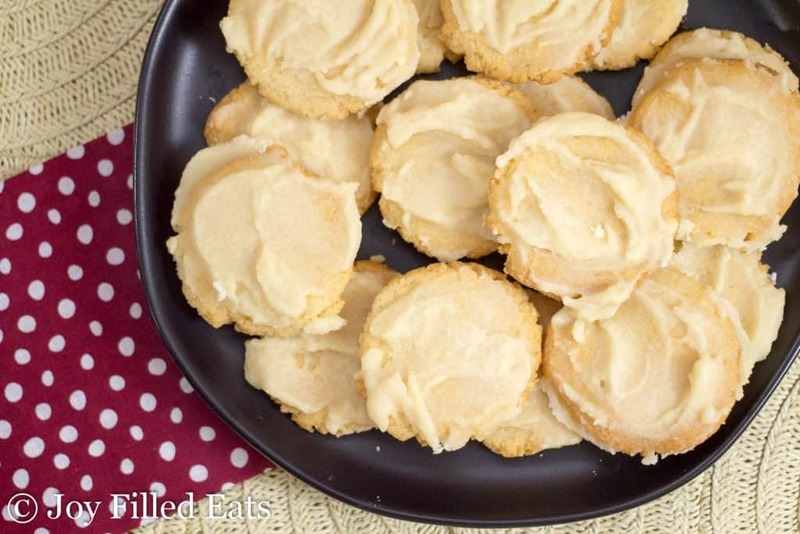 These Iced Vanilla Cookies pair perfectly with a cup of tea or a mug of your favorite coffee. 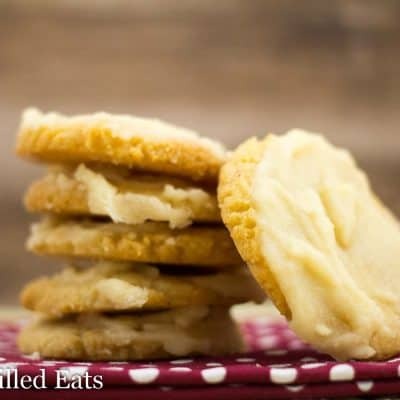 They are buttery and crisp with the sweetness of vanilla in every bite. One of my favorite things to do is bake. I find it relaxing and enjoyable. As I type this I have a perfectly clean kitchen downstairs (which doesn’t happen too often) and I’m dying to go mess it up. A sink free of dishes is just begging for the next baking project to start. With Christmas coming I want to get a few dozen cookies into the freezer to pull out for when we decorate our tree, have family or friends over, or just want a treat along with a mug of hot chocolate. I decided to try this dough to make cut out cookies. And it worked. Sort of. 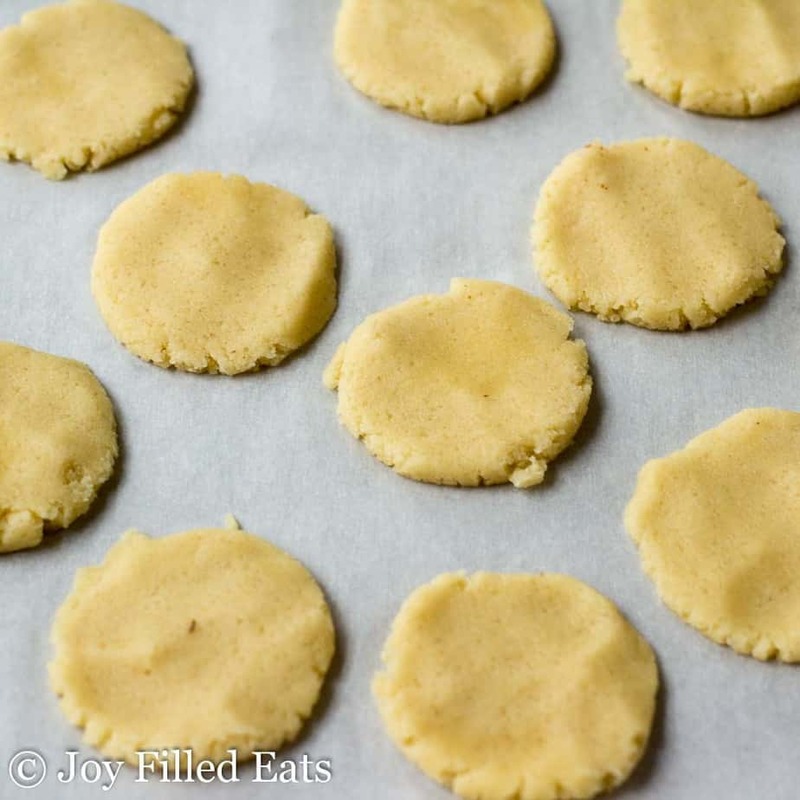 Instead of the traditional method of cutting them out and them moving to the cookie sheet you need to remove the dough between the shapes. It is too soft to move the shapes. But if you don’t mind trying this reverse method they held their shape while baking and were delicious. 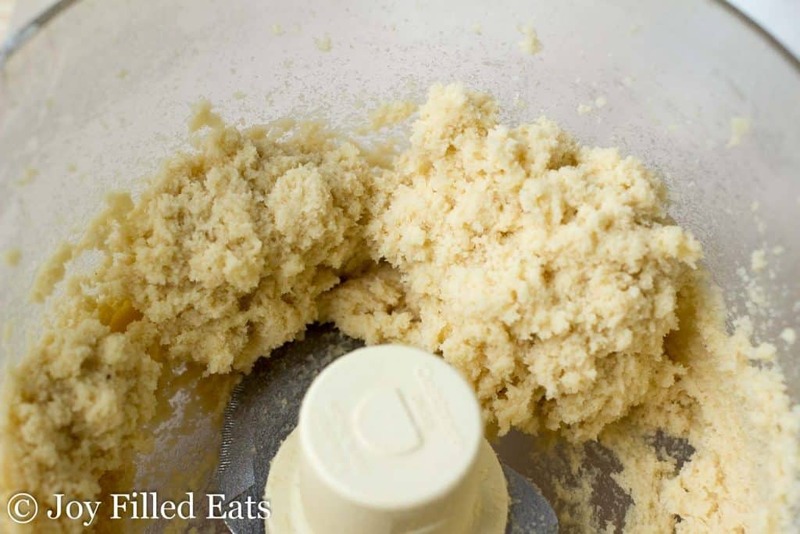 Combine the dough ingredients in the food processor and pulse until well combined. 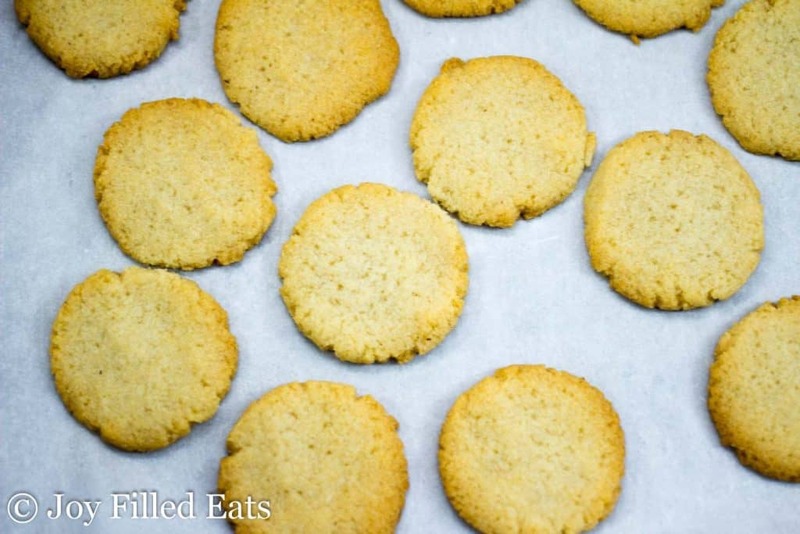 To make round cookies: Divide into 20 balls and put on a parchment-lined baking sheet. Press down with your fingers. Bake for 14-18 minutes or until lightly browned around the edges. Cool completely. Stir together the ingredients for the icing. Spread on the cooled cookies. 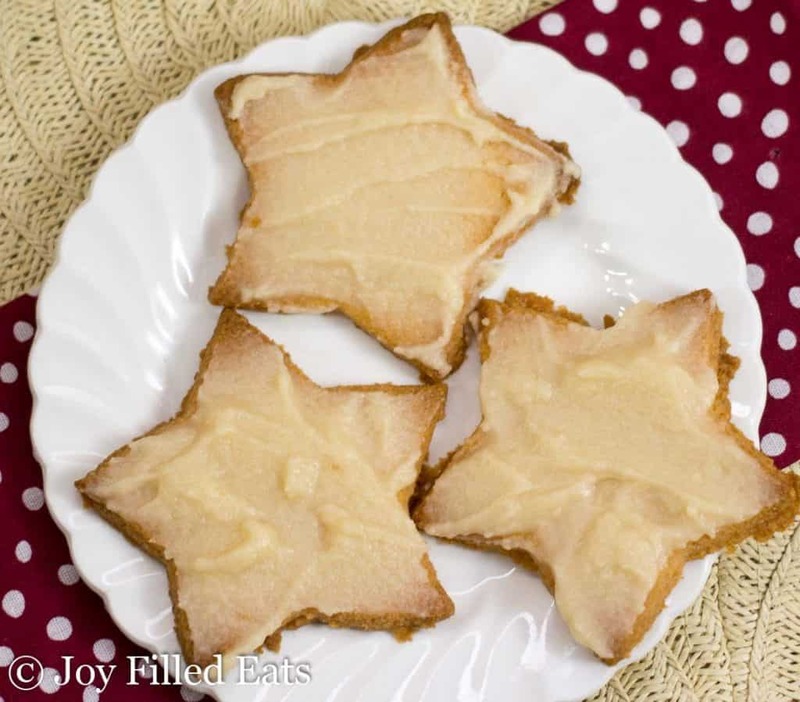 Set them on waxed paper and refrigerate to harden the icing so they can be stacked. 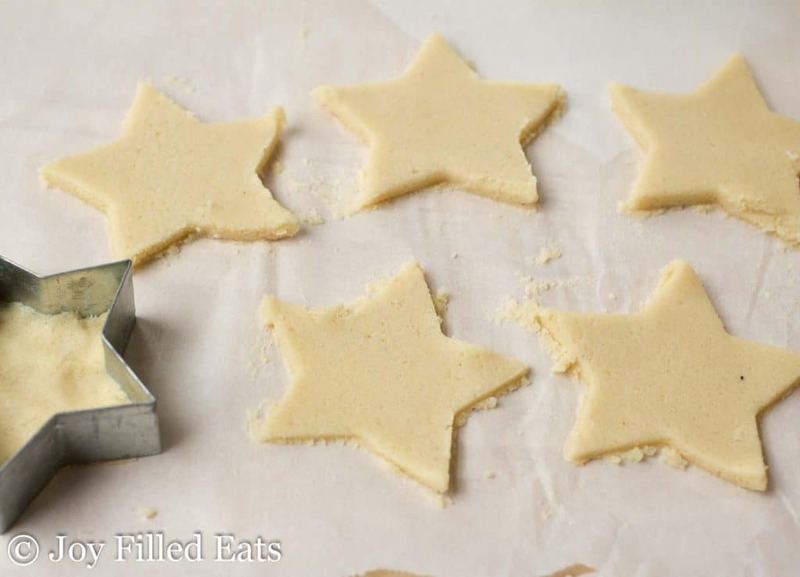 *** this dough is too soft to make cut out cookies with the traditional method of lifting the shapes and transferring those to a cookie sheet. But it does work and holds the shapes with my reverse method. 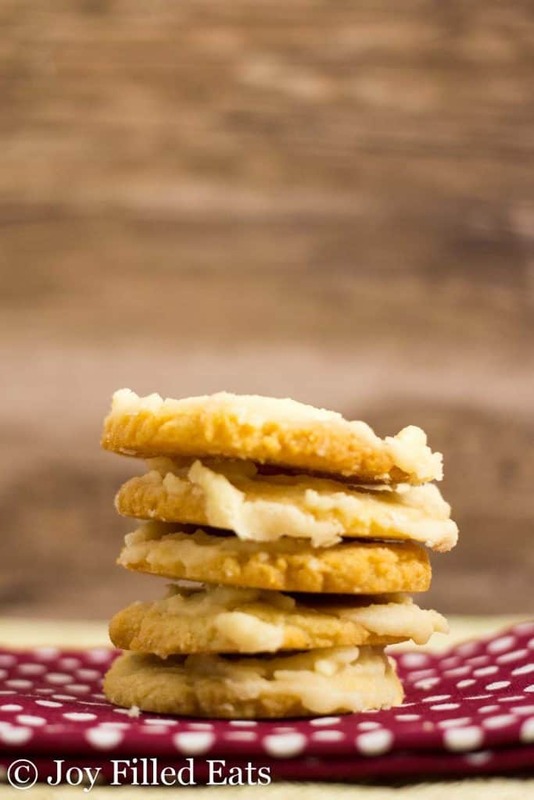 These simple Iced Vanilla Cookies are perfect with a cup of coffee anytime of the year. « Santa’s White Christmas Coffee Review & Coupon! Made these using a mixer and rolled them into balls. Super easy, didn’t even bother to ice. Just wished they were crispy. They get crispier when chilled. And also if you make them thin before baking. Two questions as these look so yummy! 1. I only have a 3 cup size food processor. Do you think this would work? 2. Could you use lemon juice or lemon extract to make these lemon flavored? I appreciate your help! Wow! Such a quick and easy recipe to put together! 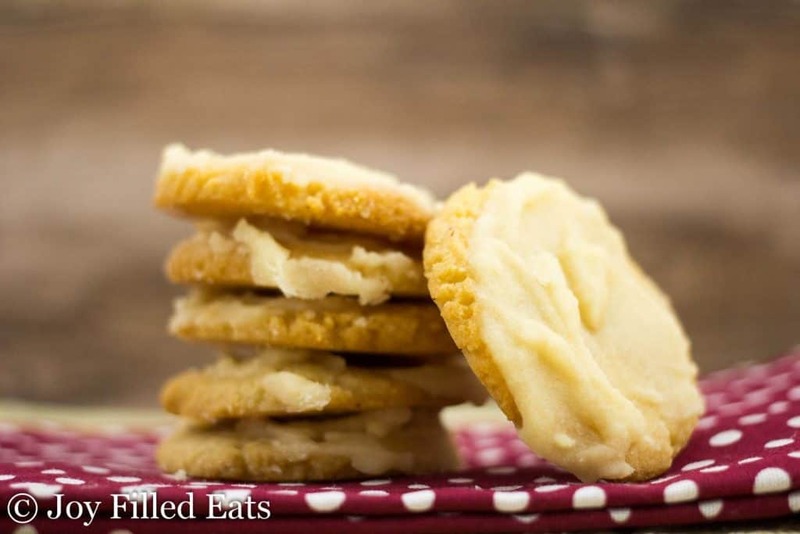 I made these this morning and love how quick they came together in the food processor! So yummy! Thanks! I tired to make these, but the dough is just powder. There is nothing to hold it together. Kinda bummed wasting all those ingredients. The dough comes together in the food processor. You have to process for a full minute or two. I've made this dough at least a dozen times. It looks like crumbs but then forms a ball. Maybe I didn’t do it long enough. I added an egg and it was perfect. Taste is amazing!